I knew I should have typed this up as soon as the weekend was wrapping up….because I totally forgot what we did. Let’s see how good this memory is for me…. FRIDAY: Wes and I headed to Chinook mall and walked around for a few hours. I also checked out a new/used kids store. We had pizza for dinner. I think that’s it? SATURDAY: I got up pretty early with Wes and we did his morning routine before I headed out to get my hair done! 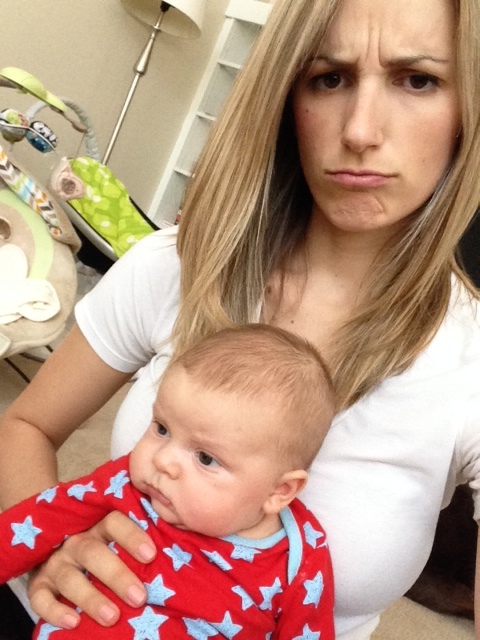 I went to my stylist’s house for the appointment because she’s also on mat leave and it was a great few hours. Not only did I get some time out of the house, but I left with a fresh new color/cut. I picked up a couple bottles of wine on the way home then putzed around for the rest of the day. We watched Focus then called it a relatively early night. SUNDAY: Wes was a sleep machine! after a 6ish wakeup, he was up again around 9, then passed out on my lap for a few more hours! This is when I demonstrated REAL strength- I had to pee for the 2 1/2 hours he slept on me and I held it the entire time. As soon as Tyler came in the room, I passed him off! I had a friend and her daughter come over in the afternoon and we did some Father’s Day crafts while Tyler worked on cleaning up his truck to sell. It was a great few hours of crafts and conversation. We rounded out the weekend with Game of Thrones–> immmm BIG finale episode!!! PS: Tyler sold his truck yesterday, so we’re finally down to 2 family-friendly vehicles! See you tomorrow for Winesday Wednesday…where I take a 2 minute break to NOT take pictures of Wes or talk about Wes or anything baby related! your hair looks gorggggg. 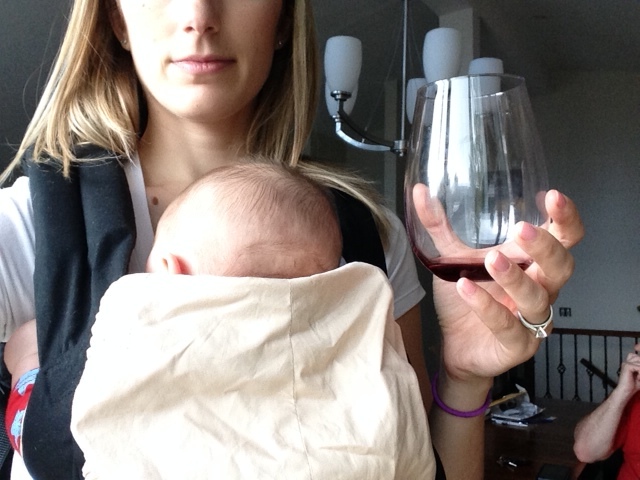 and I love how you’re holding him and drinking wine- a mama can multitask with necessities! 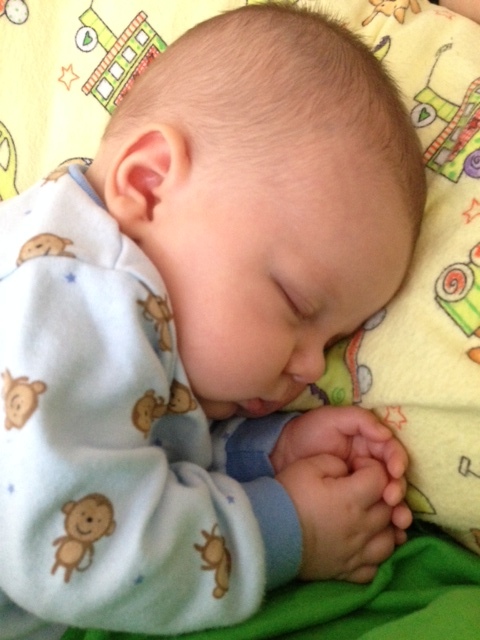 and, the cute sleeping baby comment on the other post was meant for this one- whoops! thanks! Yeah..I usually only get a sip here and there but it totally helps!! Love your hair! That is strength, 2.5 hours! I don’t last 20 minutes lol. I need to get on a craft for Chad for Fathers Day! Thanks! This will probably be the least messy craft session since Wes wasn’t really involved haha! That’s handy that your hair dresser do hair at her house. Is she expensive? She offered to do it at her house to some of her existing clients. She charges less than what she does at the salon, but it’s still pretty $$. It had been 6 months since my last appt with her and I REALLY needed it!